Welcome to the website of Our Lady of Good Aid Cathedral. 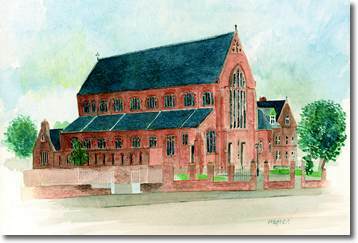 Our Parish has been in existence for over 125 years, the church itself for over 100 years. The site contains all sorts for information on the Parish. We hope you enjoy your visit. A church is not just a building: it is the people who together worship, pray, serve and grow in faith in Christ. The building which our forebears built and maintained expressed their desire to devote to God the best that that could give. The grandeur of Our Lady of Good Aid attests to the determination of the people of Motherwell that, despite their relative poverty, only the best would do for their place of worship. Their sacrifices and their vision have bequeathed to us a building of beauty where peace can be found.